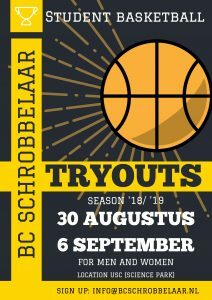 The registration for the try-outs season 2018/2019 is open! 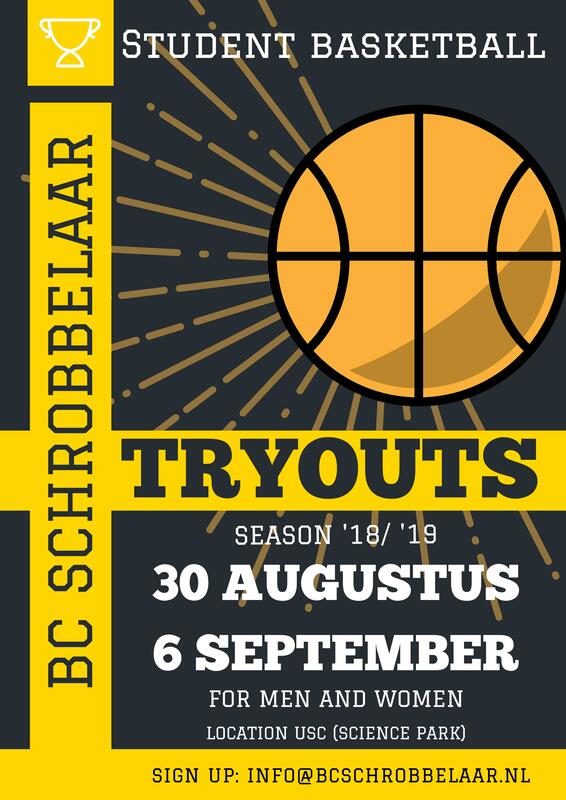 The try-outs will be on the 30th of August and the 6th of September, from 18:00 – 19:30 or 19:30 – 21:00. We are looking for new guys for Men’s 1 (2e klasse), Men’s 2 (2e klasse), Men’s 3 (3e klasse). Additionally, we are looking for female players for Women’s 1 (1e klasse) and Women’s 2 (2e klasse). Women’s 2 will be a new team so if you are looking for a new club with some friends, please send us an email! Previous Previous post: Looking for new members for the season 2018-2019!